After all not required to be in the Conclave are asked to depart, Prospero Cardinal Grech, OSA, (a non-electing cardinal) will give a meditation. Conclave date set: for the good of the Universal Church, solum Deum prae oculis habentes. 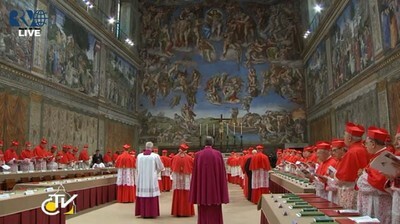 The Cardinals have determined that the Conclave will begin on 12 March 2013. The Votive Mass Pro Eligendo Pontifice (For the Election of the Pontiff) will be offered in the morning at Saint Peter’s Basilica by the Cardinal Dean and later that afternoon the cardinals will process from the Pauline Chapel to the Sistine praying the Litany of Saints. 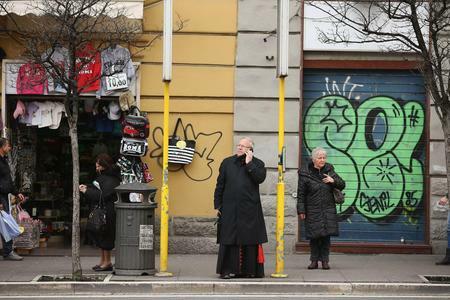 The cardinals will follow rules set down in John Paul IIs 1996 Universi Dominicu Gregis with the amendments of Benedict XVI in his motu proprio, Normas Nonnullas; moreover, they will adhere to the norms of the Ordo Rituum Conclavis. 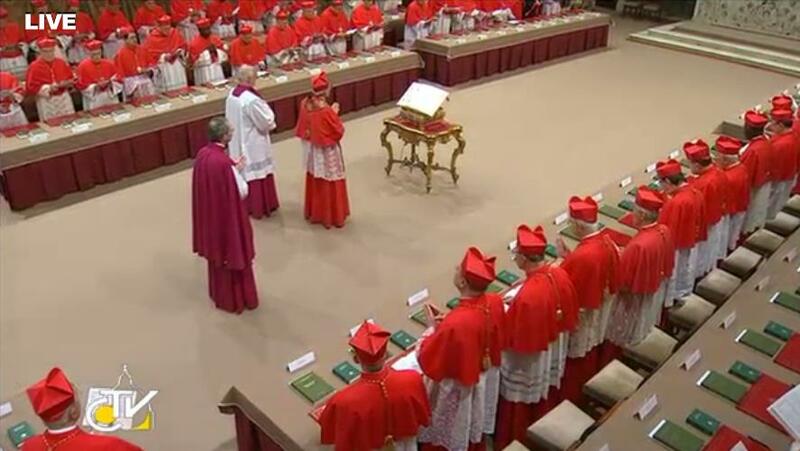 There are 115 cardinals voting, 77 of them need to agree on a single man. 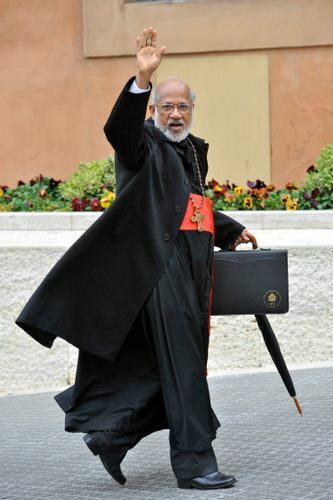 Mostly an European group of men with an average age of 72; Cardinal Kasper is the oldest at 80 (his birthday was March 5, after the sede vacnate) and the Cardinal Thottunka, the Syro-Malabar, the youngest at 53. 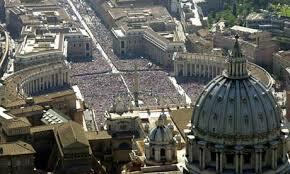 There are 67 created by the Pope-emeritus and 48 by Blessed John Paul; 19 were professed as religious; the majority are Italian trailed by the USA. Saint Joseph, universal patron of the Church, pray for us, and the cardinals. On the Roman liturgical calendar of Blessed John XXIII, March 12 is the feast of Saint Gregory the Great (+604). TODAY, let’s join with the cardinals when they dedicate Wednesday afternoon to prayer and adoration in St. Peter’s Basilica for the upcoming papal election. The Holy Hour begins at 5pm Rome time (11a.m. EST).